It's that time of year again for fighting game fans and casual viewers all around the world. The best players across the entire spectrum of fighting games are all converging in Las Vegas, NV for the annual Evolution Championship Series tournament. Nine games are being played across a three-day weekend and the only thing hotter than the Las Vegas weather will be the competition, first in the Mandalay Bay Convention Center and then in the Mandalay Bay Events Center. For the casual crowds, a lot has changed since last year's event. So here are the biggest storylines to watch for across the weekend's biggest games. It's hard to believe, but this is Tekken 7's third year at Evo. This year, however, will be its first since its home console release. 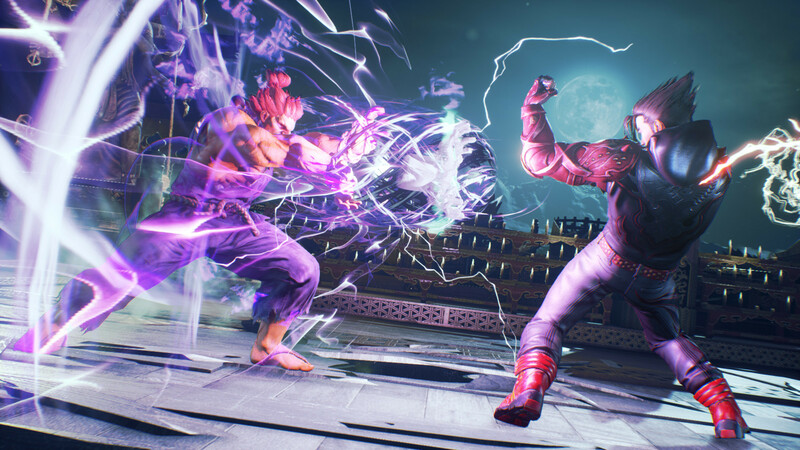 With all the excitement that the arcade version has generated, Tekken 7 is boasting over 1,200 entrants for this year's tournament. Few will be favored more than Echo Fox's Jin-Woo "Saint" Choi. On top of being the defending Evo champion, he's maintained his hot play throughout the year, which includes a win at December's Tekken Global Finals. His biggest competition is his Echo Fox teammate, Kim "JDCR" Hyun Jin, who has gone toe-to-toe with Saint on several occasions. But also be on the lookout for Bae "Knee" Jae Min, a legendary Tekken player since the days of Tekken 4. Knee came within a single round of knocking Saint during last year's Evo Grand Finals and will look to finish the job this time around. His Bryan is one of the most dangerous in the game, but he can also whip out his pocket Akuma at any time, creating some potentially fun matchups. After five years of taking the Sunday stage, Super Smash Bros. Melee will main event on Saturday night. The Melee scene started look like "Armada vs. The World," but Adam "Armada" Lindgren has started to show some slight chinks in his armor. He lost in Grand Finals at Royal Flush to Joseph "Mang0" Marquez and at Smash 'n' Splash 3 to defending Evo champion Juan "Hungrybox" DeBiedma and William "Leffen" Hjelte in the past couple of months. Prior to that, though, Armada had been on the hot streak of a lifetime and was proving to be head and shoulders above the rest of the Melee field. In fact, before May, his biggest loss was at last year's Evo, where he narrowly lost in Grand Finals to Hungrybox. Armada comes into this year's tournament with a chip on his shoulder, as he'll look to avenge this loss and prove that he's the undisputed best in the Melee world. Other names to watch out for include 19-year-old Justin "Wizzrobe" Hallett, who has taken the game's best players to the limit and is downright fearsome when he's playing at his best. There's also Leffen, who is rapidly catching up to the rest of the field and will look to cement himself as the world's best. There's Mang0, who has had his struggles at the start of 2017, but has noticeably picked up his level of play since Royal Flush. Finally, don't overlook Team Liquid's Daniel "ChuDat" Rodriguez. This Melee mainstay has been around for nearly 15 years, but is having a career year, which includes several wins over Mang0. A handful of games will be completing their pools as Melee's Top 32 begins, but look for the crowds to congregate around Smash, as it's proven to be consistently entertaining year after year. The death of Ultimate Marvel vs. Capcom 3 has been predicted for years and each year, it continues to rise up like the Phoenix ("I can't control it!") and stay alive. UMvC3 has consistently featured some of Evo's most feel-good moments and redemption stories. 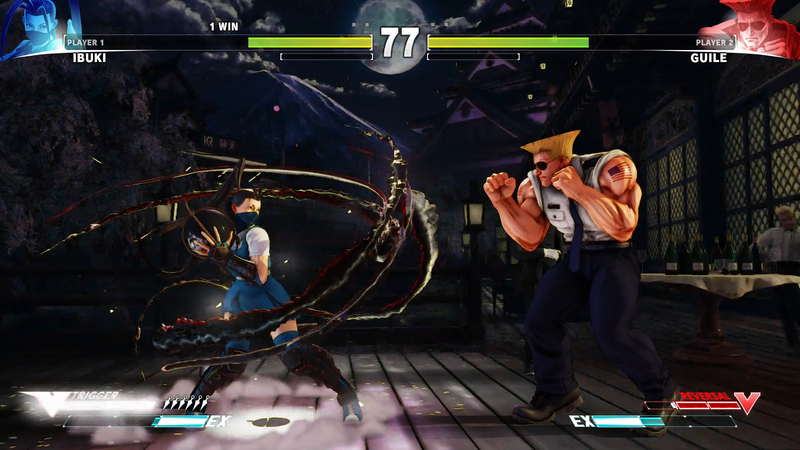 That includes Justin Wong bouncing back from a heartbreaking loss in 2013 to go full "Kill Bill" on the field a year later and win without a single set loss, Nicolas "KaneBlueRiver" Gonzalez passionately proclaiming UMvC3 to be the world's game after winning in 2015, or Christopher "ChrisG" Gonzalez finally reaching his full potential and holding the Evo trophy over his head just last year. There appear to be no epic journeys or redemption tales left for UMvC3 to tell. No single player left to watch or specific drought or dominance to watch. All that's left is for one final champion to prevail. With Marvel vs. Capcom: Infinite set to release in two short months, Ultimate Marvel vs. Capcom 3 will go out like a champion. But who will be the final face the Evo crowd sees before this cast of characters ride off into Infinite? It was an insane set of circumstances for Super Smash Bros. for Wii U in 2016. The game had over a thousand registered entrants, neck-and-neck with Super Smash Bros. Melee for the second most behind Street Fighter V. Yet Smash 4 was given only 20 hours to complete its tournament. It led to some organizational chaos and while the Smash 4 tournament organizers did a tremendous job in keeping the ship afloat, the whole deal left a sour taste in the mouth of both players and fans. So this year, Evo is making up for that in spades by giving Smash 4 the coveted Sunday night semi-main event slot. Smash 4 has one of the most passionate fanbases in all of esports, evidenced by the grassroots tournaments that have exploded with thousands of viewers, spectators, and competitors. But Evo will be the first time the game is exposed to a massive Mandalay Bay Events Arena audience, arguably the first time it has gone truly mainstream. A lot of pressure will be on the game's best to turn in their best performance and the top 8 may not be as obvious as people think. Smash 4 is prone to major upsets, especially as the field grows larger. 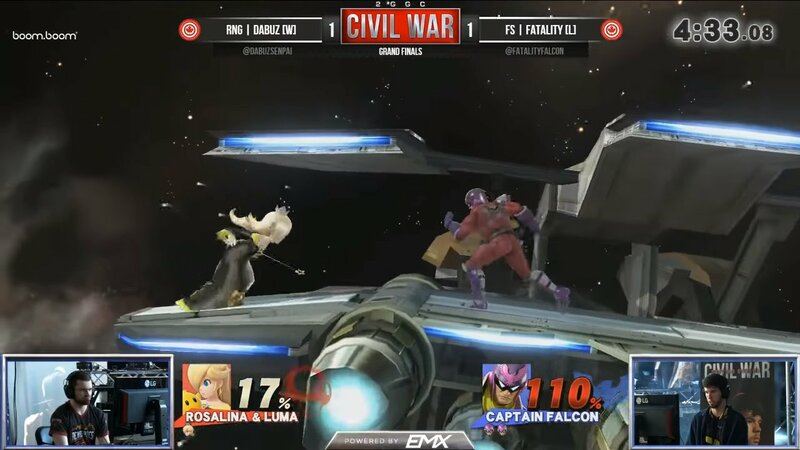 2GGC Civil War, the biggest Smash 4 tournament to date, is a prime example of this, where many of the game's top players got bopped early. Grace under pressure will be the name of the game this year, more than any other, for Smash 4 at Evo. Gonzalo "ZeRo" Barrios is the clear-cut best player in the world and he'll undoubtedly be favored to win it all again. However, Samuel "Dabuz" Buzby is carrying a lot of momentum from his Civil War win and last week's victory at 2GGC: ARMS Saga, where he defeated ZeRo for his first place win. Elliot "Ally" Carroza is also entering as the defending Evo champion and he'll be looking to make a statement after dipping from #2 to #5 on the Panda Global Rankings. Five years of Melee has proven consistently exciting, but now let's see if Smash 4 can carry that same level of hype to its first Sunday night. In the world of Street Fighter, the United States was the land of the free for many years. That is to say, Japan often took everyone's lunch money and the U.S. was mostly shut out of the top 8. Things took a big turn at December's Capcom Cup when two Americans met in the Grand Finals, with Team Liquid's Du "NuckleDu" Dang taking home the championship over Evil Geniuses' Ricki Ortiz. This has quickly proven to be no fluke, as not only have American players stayed on par with their Japanese counterparts, but new American faces started popping onto the scene. None of the faces have proven more dominant than Panda Global's Victor "Punk" Woodley, winner of ELEAGUE and current Capcom Cup points leader, who has taken sets over the game's best, including NuckleDu. With that said, Japan's best will be ready to reassert its Street Fighter dominance. Echo Fox's Hanime "Tokido" Taniguchi, Keita "Fuudo" Ai, and Red Bull's Masato "Bonchan" Takahashi will all be on-hand looking to add to their Capcom Cup point totals. Then there's the big wild card, Korea's own Seonwoo "Infiltration" Lee. The defending Evo champion has looked staggeringly mortal since December's Capcom Cup. He currently sits at 85th on the 2017 Capcom Cup standings and with him looking as vulnerable as he has, the time would appear to be right for somebody to make themselves famous at his expense. However, at the end of the day, he's still Infiltration and Evo has historically proven to be his event. The field, including the rising crop of American players, should underestimate him at their own peril. So can America keep its Capcom Cup momentum alive? Given how much the American players have improved since the Season 2 patch and the introduction of new characters like Kolin and Ed, there's reason to believe so. If any players can take Evo for America, it's Punk and NuckleDu. But also keep an eye out for perennial threats like Justin Wong and Darryl "Snake Eyez" Lewis, along with other talent like Bryant "Smug" Huggin, Christopher "ChrisG" Gonzalez, and Ryan "Filipino Champ" Ramirez, who have improved immensely since last year and all seem to be hitting their strides at the right time. Looking for the brackets to these and Evo's other games? Be sure to visit Smash.gg before Friday's Evo action begins. I hope Chris G can get UMVC3 again. I'm hoping SFV finals will be exciting. FGC is so entertaining, its like wrestling but good. Man, great articles recently. Go you guys. great recap. going to miss marvel as i think it had some of the best hype and storylines. I'm so bad at fighting games but I love watching other people play. 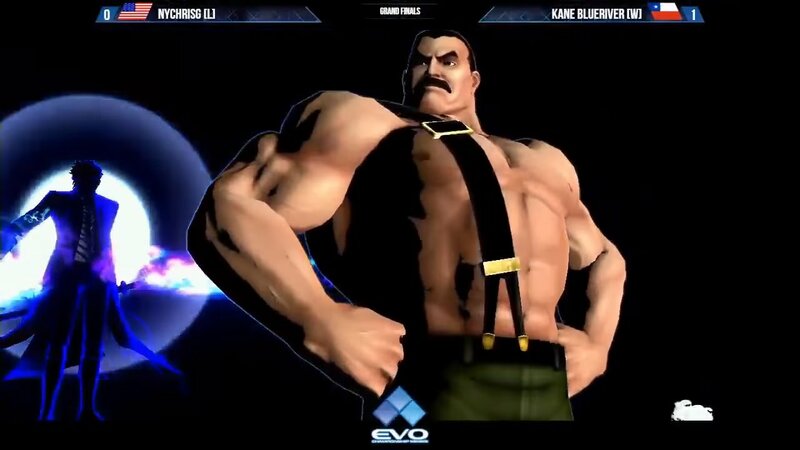 Cant wait for EVO! I liked this. I don't really follow the tourneys during the year and now I have a loose idea of what to expect going into Vegas.